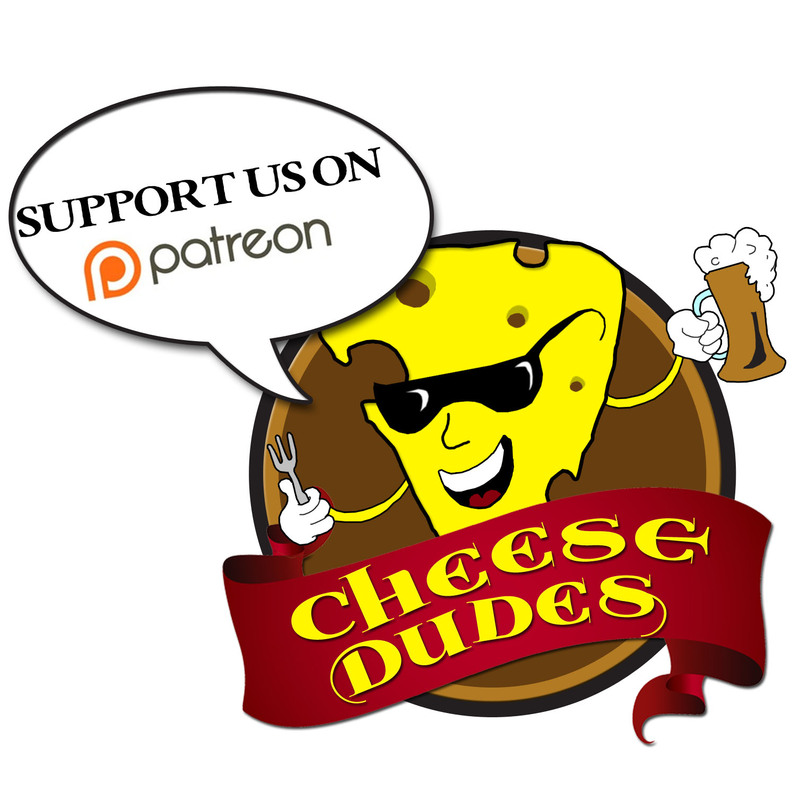 Hi guys, here’s something we made just because we enjoyed the Micro RPGs so much. It’s not a micro RPG exactly. 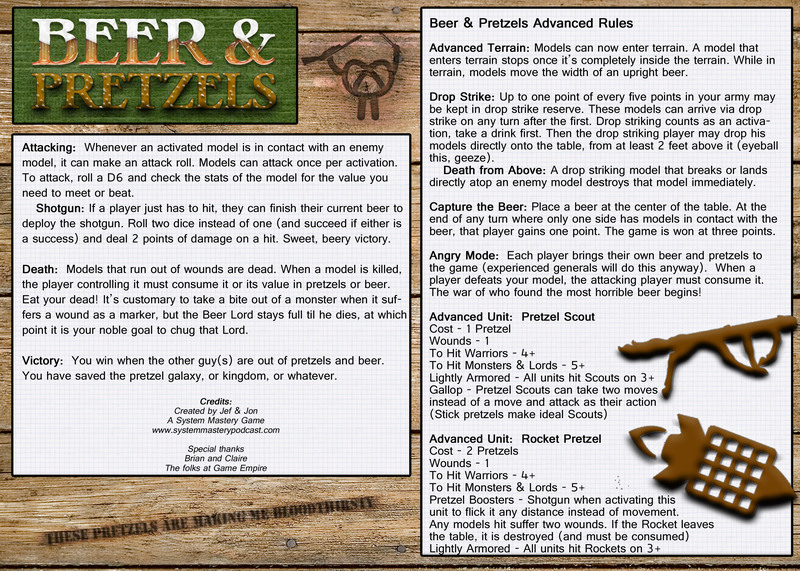 It’s really more of a tabletop wargame that you can play at a party or in a bar. 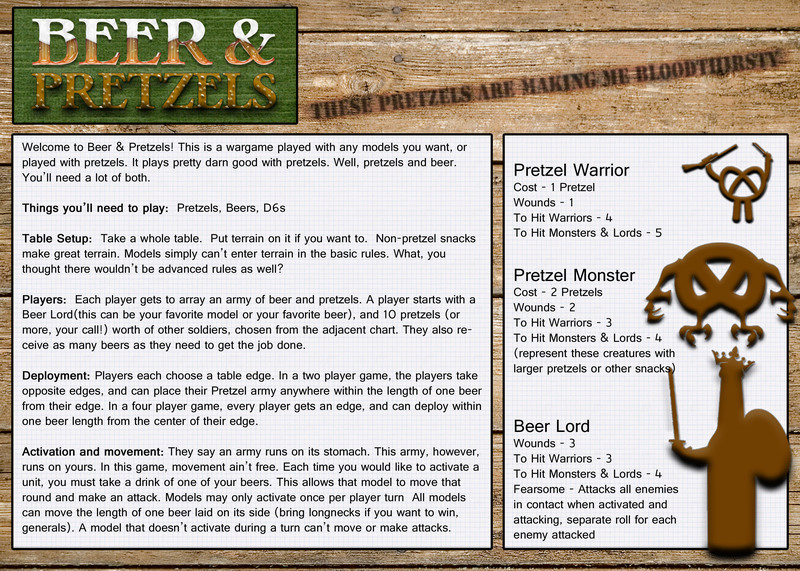 It’s dumb and silly and we haven’t playtested it at all, so here’s Beer & Pretzels! Be sure to play the advanced game in a clean area. Nobody wants to consume a rocket after it touches the floor of a typical tavern or pub. That’s why the rocket is a risky unit. You have to be confident in its use, else pay real consequences! the basis for their failing.